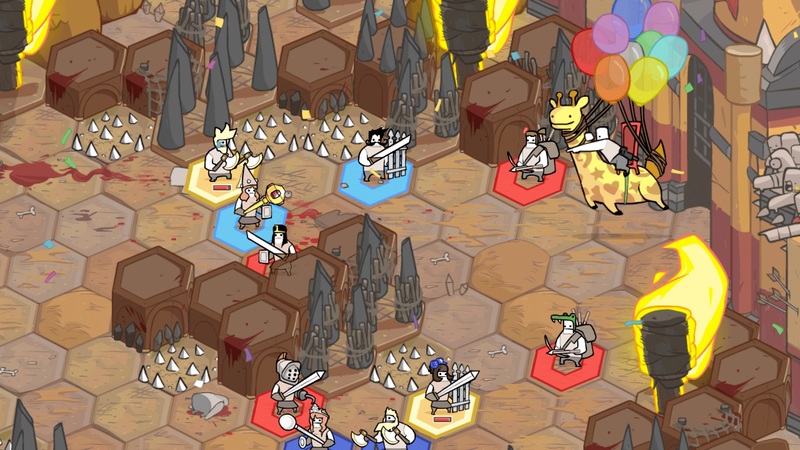 Following the full release of Pit People by developer The Behemoth, some players have been searching for a comprehensive guide on how to earn all in-game achievements. There are a variety of different unlockable achievements in Pit People. Many of these achievements can be unlocked by running through the story, while others require a few extra steps. To help you on your quest, we put together a guide that'll teach you how to unlock all achievements in Pit People! Below, we'll walk you through the steps needed to unlock all achievements in Pit People. I Said Horatio Dies: Defy the Narrator. To unlock this achievement in Pit People, simply complete the first quest. Which Seat Should I Take: Get a full squad of 6. To unlock this achievement in Pit People, complete the first story mission, head out into the world, then recruit a 6th ally. Karma for the King: Get Pip’s Revenge. To unlock this achievement in Pit People, simply complete the story quest mission that tasks you with getting Pip’s revenge. So Fast So Murderous: Run over 10 enemies using the wagon’s nitro boost. To unlock this achievement in Pit People, you’ll want to buy the Nitro Boost item at the City Gates for 150 Gold. Then, head to the world map and once you locate a cluster of enemies either press 1 (keyboard) or A (controller) to activate your Nitro Boost and run them over. Pocket Change: Accrue 19,999 Gold. 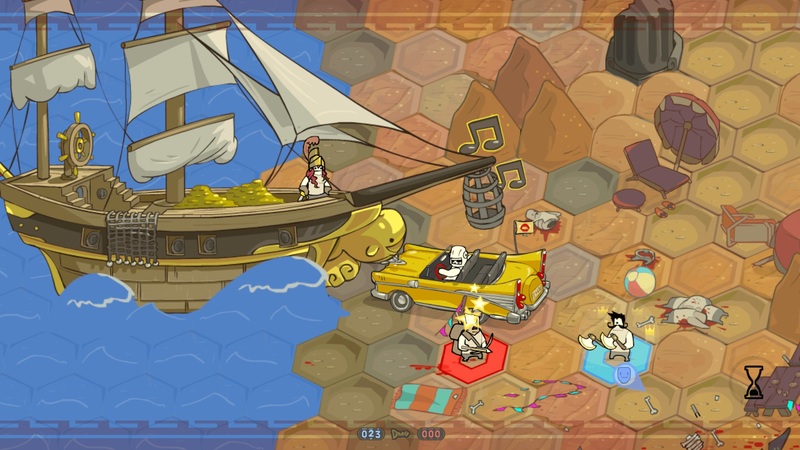 To unlock this achievement in Pit People, you’ll need to accrue 19,999 Gold (the game’s current money cap). Easy ways to do this include selling duplicate items, completing side quests, and locating stashes of Gold on the map. Blueberries Blocker: Horatio or Hailey reach Level 20. To unlock this achievement in Pit People, you’ll need to level up characters Horatio and Hailey to Level 20. After doing this, we recommend continuing to use these characters in Pit People as it’ll help you unlock the I’ve Seen Things achievement (reaching character Level 80) a lot faster. Plays Well With Brothers: Get a Quadra Kill. To unlock this achievement in Pit People, you’ll want to locate a Troll Mom enemy. This is because the Troll Mom will spawn a Baby Troll at 10hp (on Normal Mode) each and every turn. After clearing the board of every enemy aside from the Troll Mom, let her spawn Baby Trolls for four turns. When four Baby Troll enemies are on the board, kill them to unlock the Plays Well With Brothers achievement in Pit People. I See Dead Pixies: Beat any team of Elites in the wild. To unlock this achievement in Pit People, you’ll need to locate Elite enemies in the world. They can be identified via their red tint and body flames, and are commonly found in areas bordered by glowing red lights with skulls. After beating a team of Elites, you’ll be able to unlock the I See Dead Pixies achievement in Pit People. To unlock the Seriously Serious achievement, you'll need to complete a quest and its various different parts in Pit People. Seriously Serious: Successfully complete a full Quest. To unlock this achievement in Pit People, all you need to do is pick a Side Quest with multiple different parts. Upon completing all parts of your selected Quest, you’ll be able to unlock the Seriously Serious achievement in Pit People. Are You Not Entertained: Win the Insane Unfair Challenge. To unlock this achievement in Pit People, you’ll need to proceed to the far left side of the city to the Insane Mode switch. Flip the switch to turn on Insane difficulty, then head to The Pit to complete the Unfair Challenge Mode. After you win an Unfair Challenge Mode on Insane difficulty, you’ll be able to unlock the Are You Not Entertained achievement in Pit People. The Queen Will Be Pleased: Recruit 1 of every creature type. To unlock this achievement in Pit People, you’ll need to first complete the Recruiting Tutorial Mission. Then, you’ll need to recruit all of the following creatures: Human, Cyclops, Pixie, Cupcake, Zombie, Hair Troll, Mascot, Vampiress, Spidaur, Gnome, Mushroom, Electrobot, Wraith, Rainbow Horse, Kobold, Octoclops, Gorgon, Troll Mom. By recruiting all of the aforementioned creatures, you’ll be able to unlock The Queen Will Be Pleased achievement in Pit People. I’ve Seen Things: Have a character reach Level 80. To unlock this achievement in Pit People, you’ll need to have one of your characters reach Level 80. As mentioned above, we recommend using Horatio or Hailey for this achievement. Additionally, you can grind this achievement out using the Auto-Battler feature in The Pit. Continue playing Pit People until one of your characters reaches Level 80 to unlock the I’ve Seen Things Achievement. To unlock the Nothing Personal achievement in Pit People, simply win an online Versus Battle in The Pit. Nothing Personal: Win an online Versus Battle in The Pit. To unlock this achievement in Pit People, you’ll need to head to The Pit and press X (controller, keyboard) while in the first room to activate Online Play. Once Online Play is activated, search for a Versus Battle and win to unlock the Nothing Personal achievement in Pit People. Something Switchy Going On: Find a secret area in any world map. To unlock this achievement in Pit People, you’ll need to locate one of the six Hidden Levers. By activating one of these Hidden Levers, you’ll be teleported to a secret area. We currently have a guide on how to find all Hidden Pedestals. Use this guide, and you should also be able to unlock the Something Switchy Going On achievement in Pit People. Very Vinyl: Following the full release of Pit People on March 2nd, new Vinyls released in the game. To unlock this achievement, players will reportedly need to collect a set amount of Vinyls in Pit People. Above are all of the current unlockable achievements in Pit People. For more on how to unlock achievements, be sure to go back and review our guide on where to find all Hidden Pedestals in Pit People. 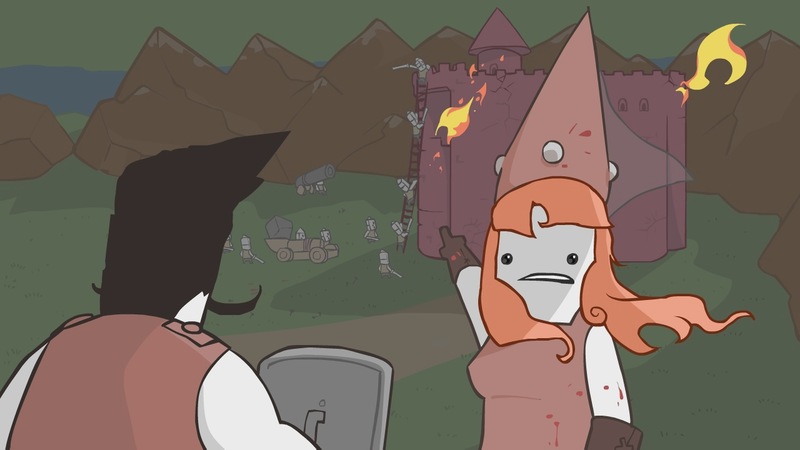 Additionally, be sure to check back, as we’ll be adding new Pit People guides in the future! By reading through this guide, you should now know how to unlock all achievements in Pit People.